Oh my goodness, we’re over the moon today! Both twins were invited to a birthday party today, and as part of the (unrelated) activities happening at the location the birthday was at, the twins got to mingle with Kristoff, Anna and Elsa from Frozen. I can’t get pictutes of Anna and Kristoff into this post. My phone keeps crashing. Maybe my next one. 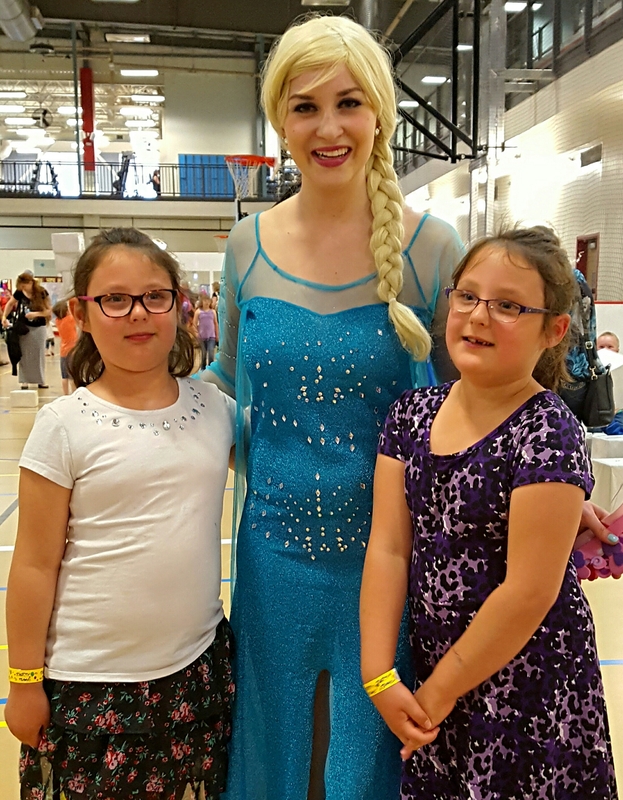 The activities involving our favorite characters from Frozen was open to the public, and the twins were elated they got to meet their heroes. They’d like to know what it costs to travel to Arondelle. I have another layout to share today! This time, it’s a double page spread. I kept it fairly clean and simple, and I think it’s perfect just as it is! 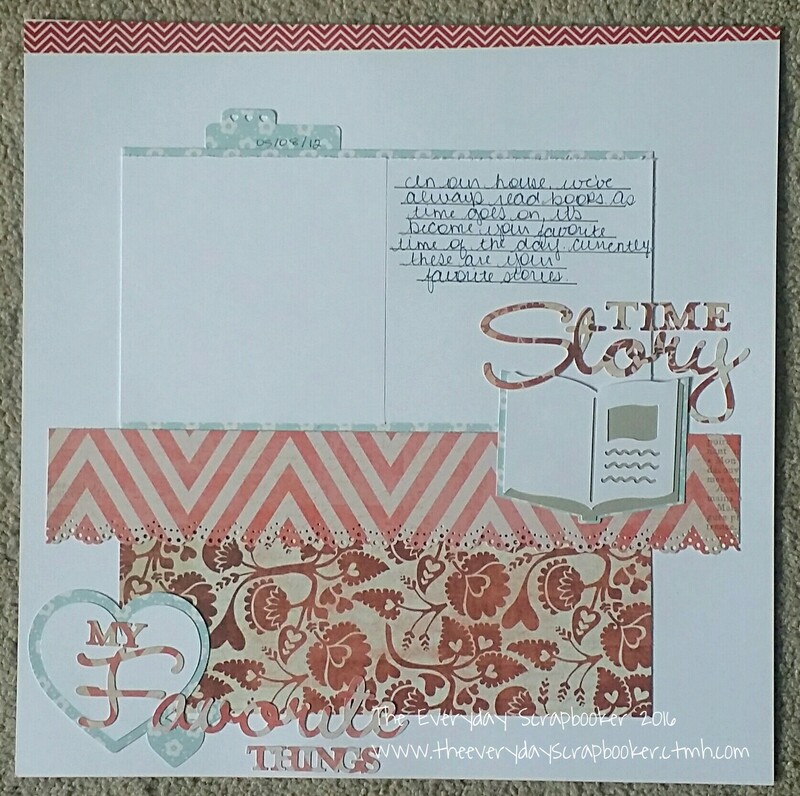 My inspiration for this page came from My Sweet Shoppe. The green polka dot paper is Recollections and has been in my stash since I started scrapbooking seriously, nearly 10 years ago. I still have lots of it left, too! I just can’t seem to part with it! The pink border at the bottom is washi tape, and the flowers were stamped and fussy cut, using CTMH Beloved Bouquet. For the finishing touch, I doodled and journalled around the entire photo mat. I found the quote on Pinterest. Thanks for visiting with me today, and I hope you’ll visit again! See you again, real soon! Good morning! 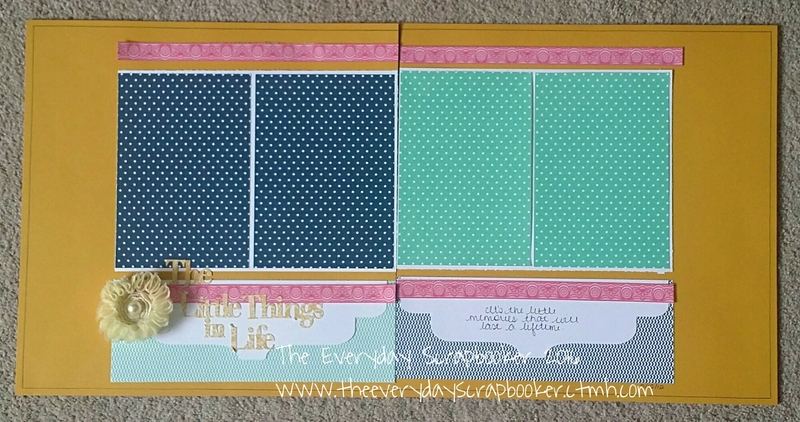 Are you ready to make today terrifically scrappy?! The layout I’m sharing today, was created using a mixture of Momenta patterned papers, sequins, just a touch of washi (naturally! ), and a couple sweet and simple die cuts from my cricut. I began with a beautiful c+s layout I found on Pinterest which I scraplifted. Clicking the link will bring you to the image I scraplifted. And, the countdown is on! T- minus two more layouts until things return to normal again! Hello dear friends! Once again, the week is coming to a close. My kids don’t have school tomorrow, so I think we’re going to relax and take it easy. On Saturday, we’re meeting Elsa, Olaf and Anna from Frozen, then heading to a birthday party. We’re pretty stoked about it! I promised you a spicy post today. Grab a chair and get comfy- you’ll need it! 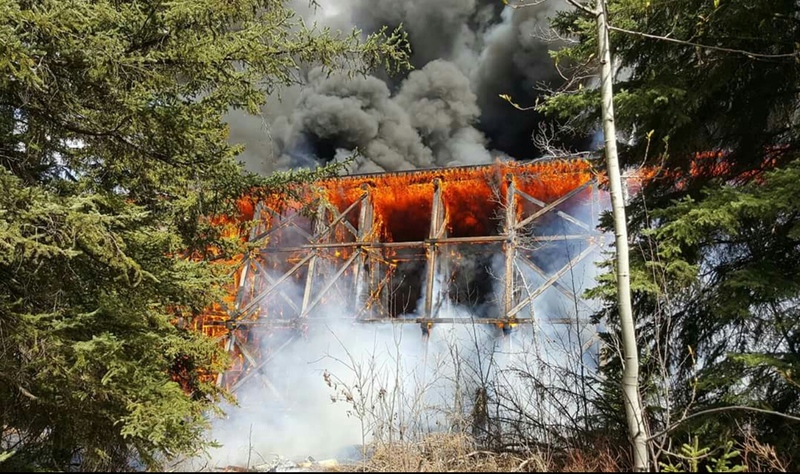 A little ways down the highway from my town, this happened. The jr/Sr high-school had to be evacuated as well as a mobile home trailer park that was within close proximity. 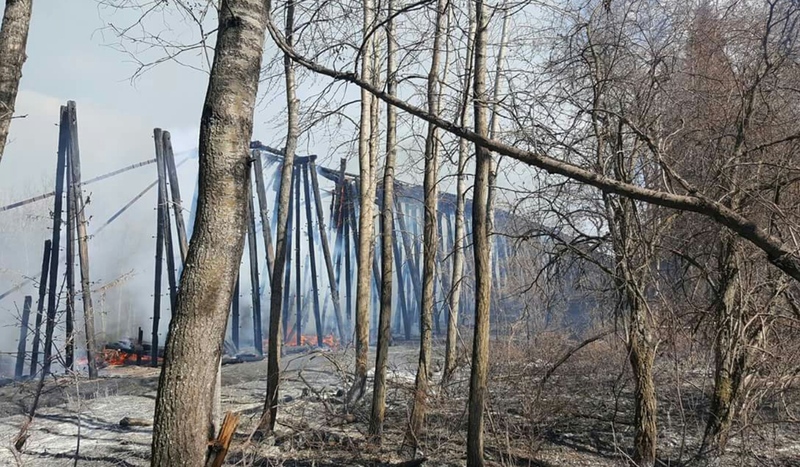 All I know about it is a 12 year old child accidentally set the blaze, CN rail doesn’t plan to rebuild (although it’s an iconic piece of Alberta history), and no one/nothing else was damaged from the blaze. My heart is so sad. I love history and historical buildings. 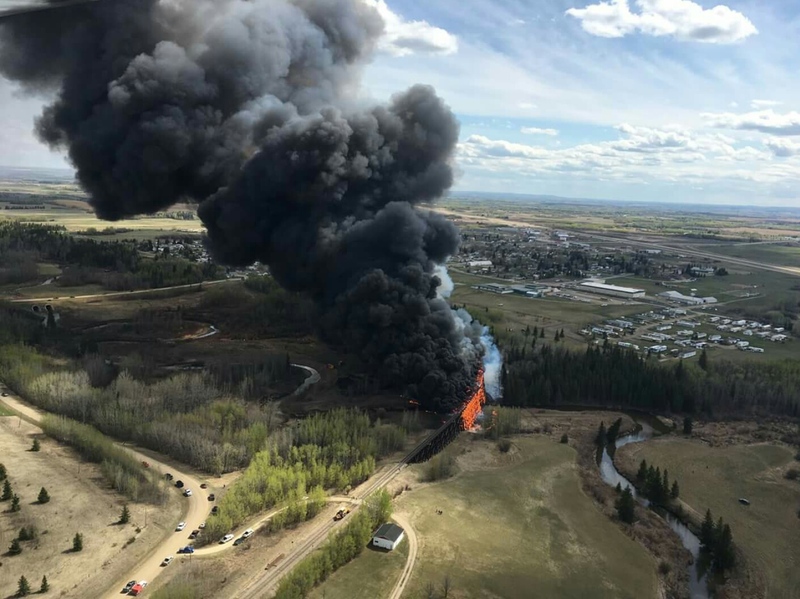 Mayerthorpe, the town this happened at, is in the background. 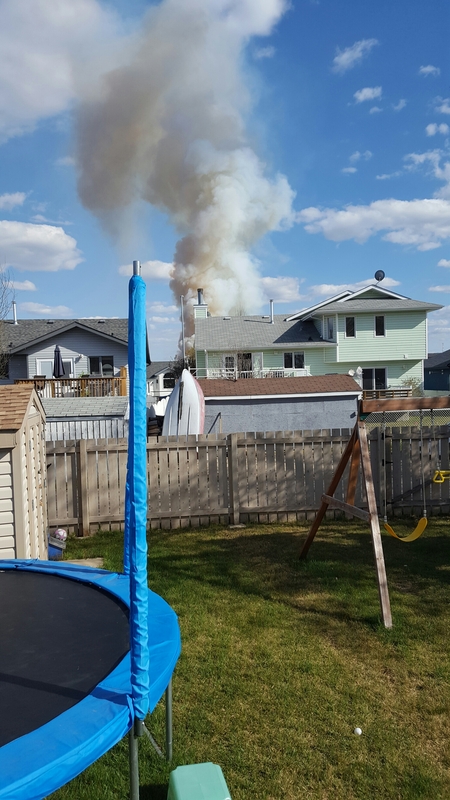 In my lovely hometown- actually, mere blocks from my home, a massive grass fire swept a field behind our Walmart and Staples. 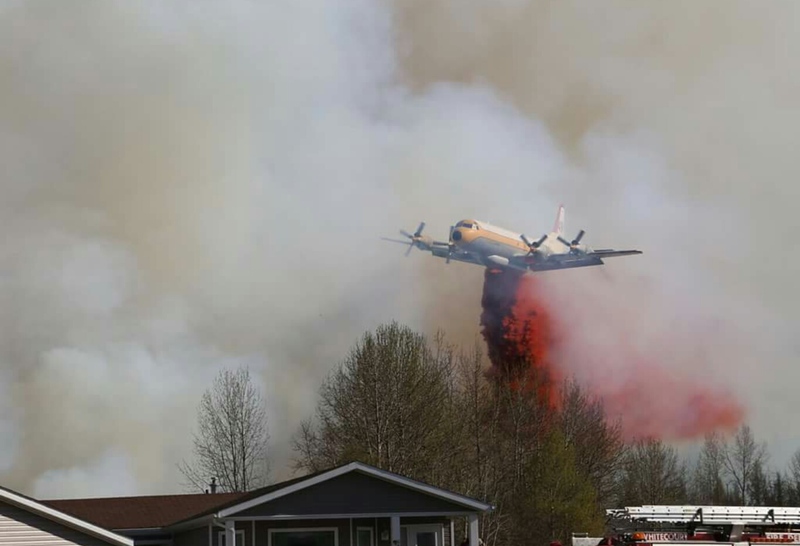 It was mere feet from homes when our Fire Department and Forestry teams got it under control. I still don’t know what started this blaze. 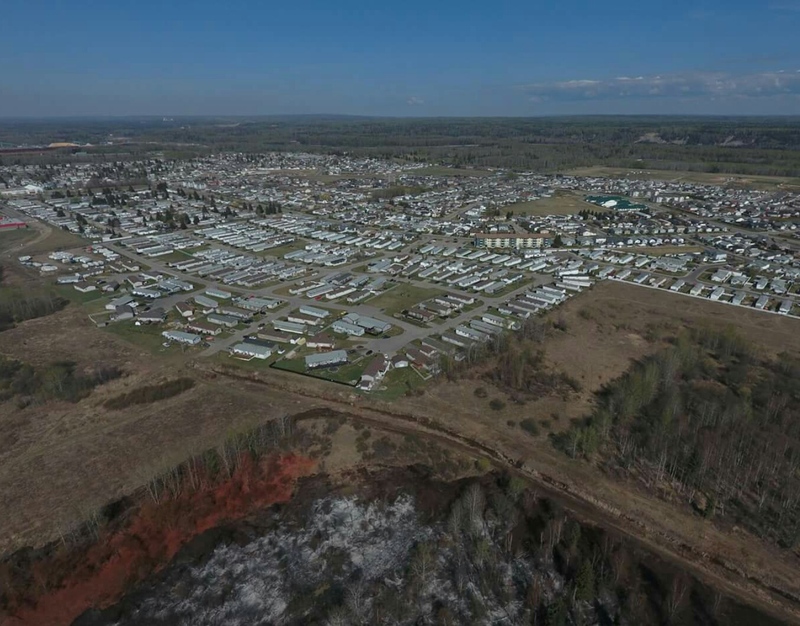 This picture both gives you a general idea of how large the blaze was, and how close it came to decimating one of the mobile home parks in town. (My house is somewhere in the top background there). Lastly, here’s a couple of my own pictures. 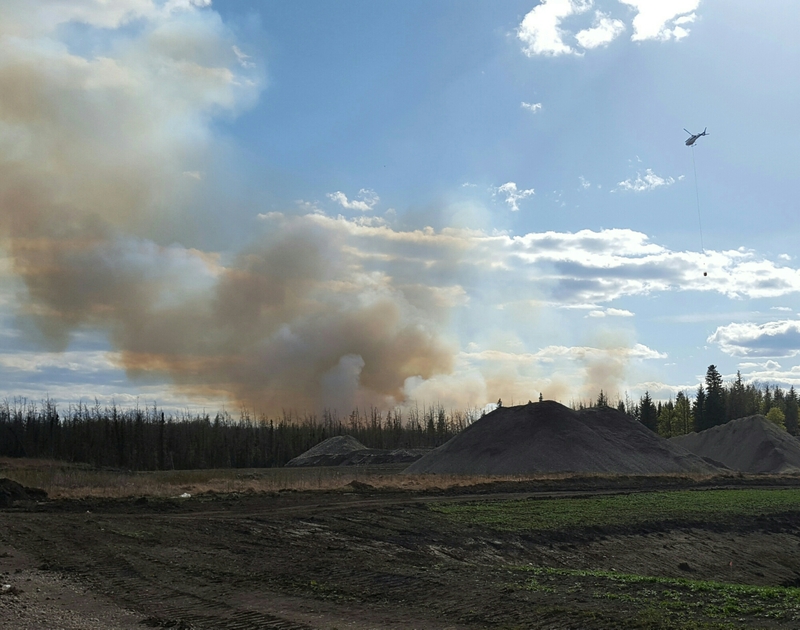 We jumped in the truck to see if we could figure out exactly where the blaze was (at this point, we weren’t exactly sure), and we wound up sitting next to the pond one of the choppers was using to fill his bucket. It was really impressive to watch- the twins thought it was out of this world! Their appreciation and respect for our first responders tripled on Wednesday afternoon- as did mine! (When this took place). How was that for spicy? The blaze in our little town had us worried for a bit. I’m so glad no one was hurt and no one lost their homes or businesses. What a blessing! Join me again tomorrow for more scrappy goodness! Hello friends! The week is half over. How is it going for you? The weather has turned back to sunshiny and warm. I love it. Unfortunately, our area is incredibly dry. Much like seeing layouts without pictures in them. Good news- after today’s post, only three more to go before pictures make their long awaited appearance again! I’m as excited for it as you are! They help tell a story so much better! 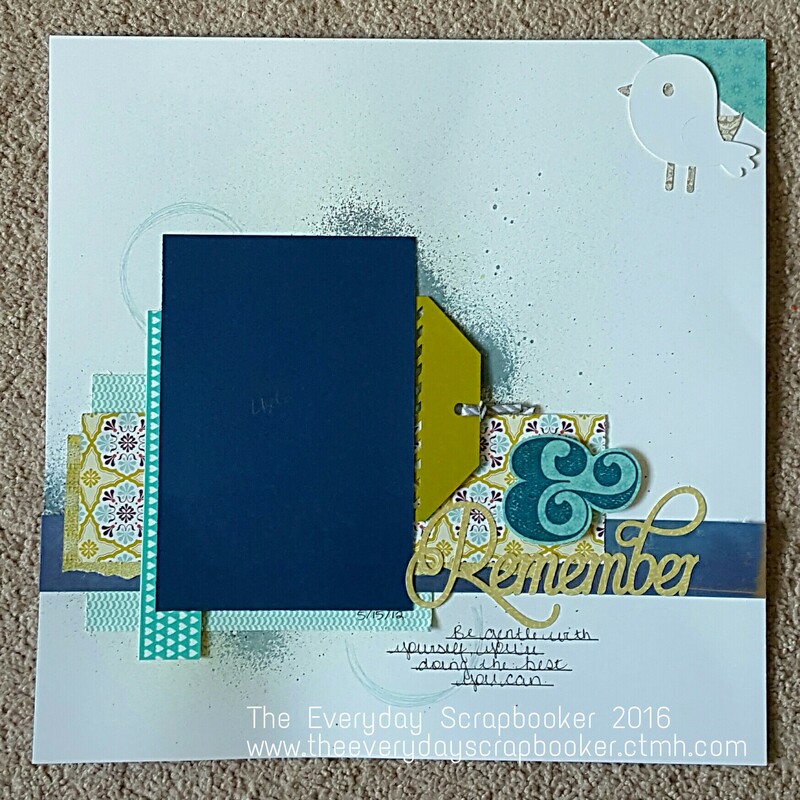 I sprayed some navy HS mist in the background, then layered scrap patterned papers on top. I even snuck in some CTMH washi tape. Can you spot it? I was sneaky with the addition of the tag behind the photo, as well. Why, you ask? It’s got journaling on it, but you can’t see because it’s hidden! What have you hidden your journaling on- or in?! I’d love to hear! Thanks for dropping in! I’ll be back tomorrow with a spicy new post- I’m sharing pictures of the unexpected and chaotic day we had yesterday! I’m here again today to share another layout with you. Please bear with me- the layouts without pictures are coming to an end. There’s just a bit more I want to share with you! To begin, the sketch that inspired my layout, was given a quarter turn, as you can see in my take below. I used up scraps of gradient cardstock- White Daisy, Whisper, Thistle, Smokey Plum, Eggplant and Basic Black. All cardstock is CTMH. 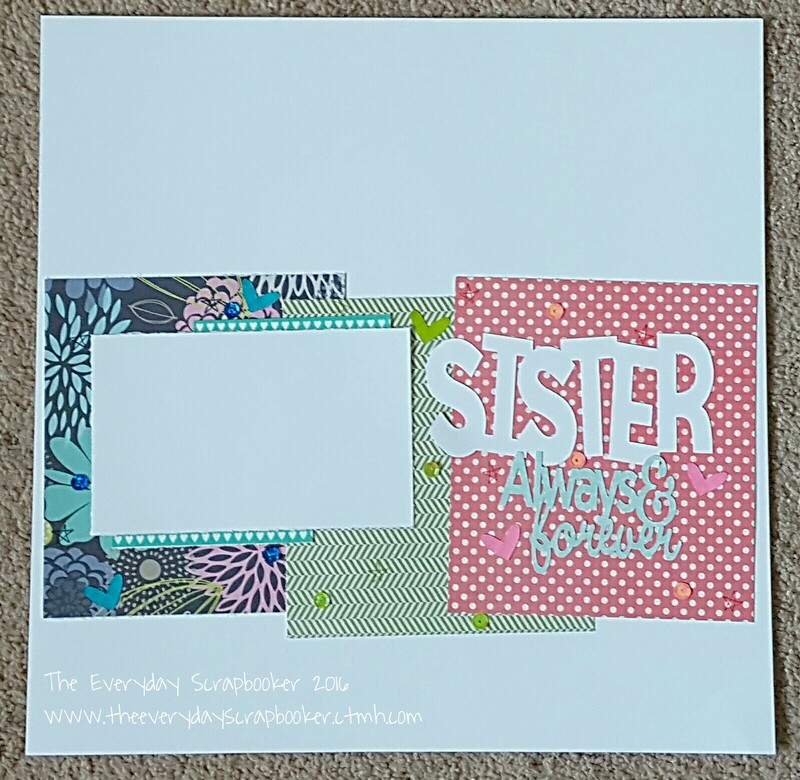 I cut the title and embellishments using my cricut; I used up patterned paper scraps in a similar shade of grey as my Whisper cardstock. Lastly, I used the white space in my ombre mat to include my journaling. I’ve honestly never created a layout that was strictly cardstock, and I have to say, I love how this turned out. I love that using an ombre palette effectively created texture without using textured and patterned papers (or mixed media tools). How have you created texture using unconventional ways? Hi! I’m sneaking in while my husband is on the phone with his mom. They’re getting lots of snow in Oyen today- a foot has fallen so far and there’s no end in sight. The silver lining is that its moisture. We all desperately need it right now! And, it’s still only April. It’s grey and gloomy looking here, but thankfully we have no snow in our forecast. Instead, we found out this morning that my husband can look forward to more hourly cuts and lack of work. He hasn’t lost his job, but they told him not to come in unless there’s bedtruck work. We don’t know what we’re going to do. The outlook is pretty grim these days. 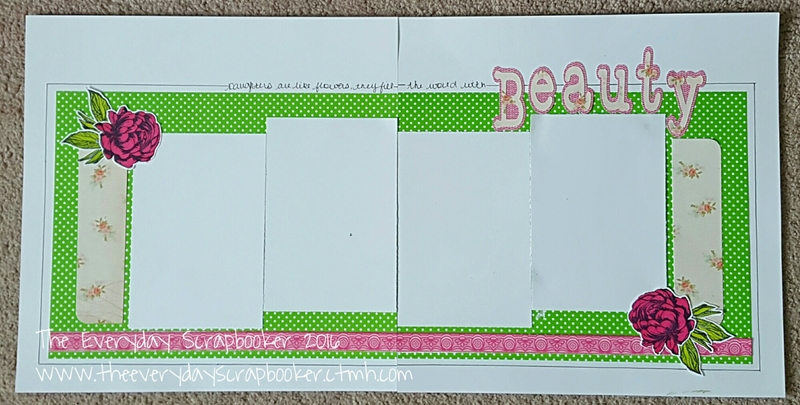 I wanted to remind you again that I make and sell scrapbooks and cards, but I don’t want to come off desperate, so instead I’ll just share a layout! Aren’t these colors yummy together??! I started with some pretty sunflower printed paper from Recollections, then layered kraft cardstock and CTMH Saffron cardstock on top. I cut the title using my cricut from CTMH Peacock cardstock, and embellished using pretty paper flowers (also Recollections). Here’s where the inspiration for this layout came from. Mothers Day is fast approaching. How are you going to spoil her? This layout is a dedication to my mom- as well as myself, since I’m now a mom too! 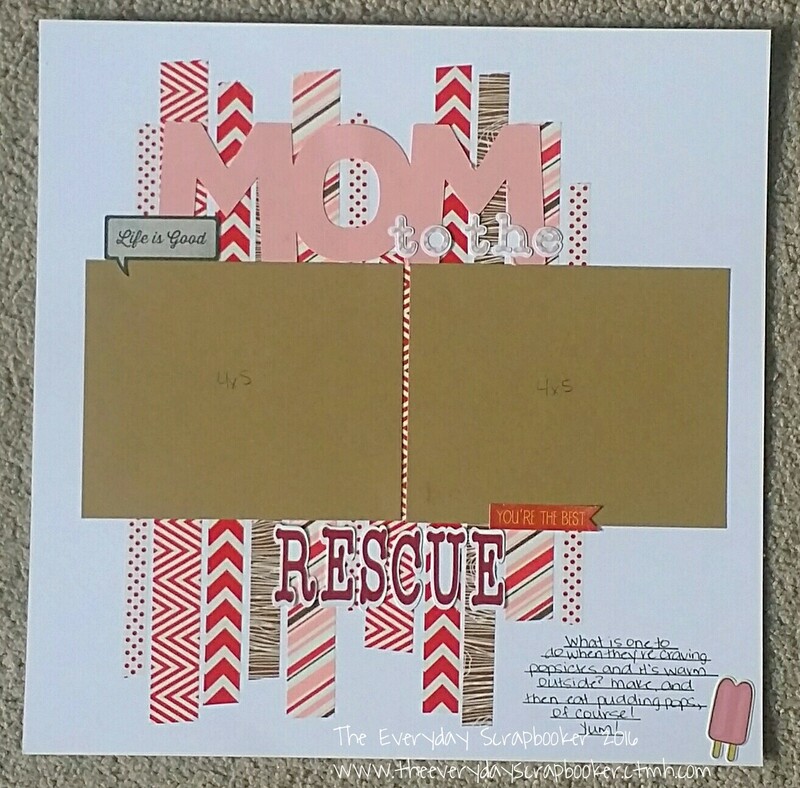 Stay tuned for another mom-related layout- I’ll have that on the blog very soon! Good morning crafty friends! Welcome to a brand new week! Let’s make it a great one! I just thought I’d throw this out there for my Canadian friends- especially those that might live near me (Whitecourt)- I am hosting a craft night coming up on May 7 at 7 pm. If you’ve been looking for a way to indulge in some personal time, then this might be the event for you! If you craft- no matter what you craft- you’re welcome to join. I have space for a number of people, including a nice little electric fireplace, TV for a movie or music and comfy couches and a table to sit at. For those that scrap and like getting messy, I have a kitchen sink with your name on it! If you’ve been a frequent flyer here at my blog, you’ll know that I am a Close to My Heart consultant. This event is purely for entertainment and social purposes- my goal isn’t to surprise you and trick you into purchasing or ordering from me. While (realistically), workshop participants and potential clients might hopefully- eventually- become an option, I’m starting this out as a way to network, connect and, most importantly, just find a group of friends that have the same likes I do. A few years back, when we were living in another province, and I was still pregnant, my peers and social group of friends, met weekly to scrapbook. They’re some of my fondest memories while living there, and I miss it. I want to recreate the same here. I have the event posted to Facebook. You can rsvp there. If you’re a blogger with Canadian connections, reposting this would be fantastic! If not, word of mouth works just as well! Thanks for visiting! I hope you have a fantastic week! Good morning! Welcome to Saturday. I created another layout using Washi Tape as a design element, as well as my standard cardstock. Here’s a little tip: to keep the color integrity of your washi tape (because it’s so thin), layer it onto of a strip of white cardstock. The color will pop and won’t get lost in your background. I began with sketch inspiration from The Sweet Shoppe. Rather than continuing on with the double page spread as it appears in the sketch, I turned each side a quarter turn- counter-clockwise on the left and clockwise on the right. 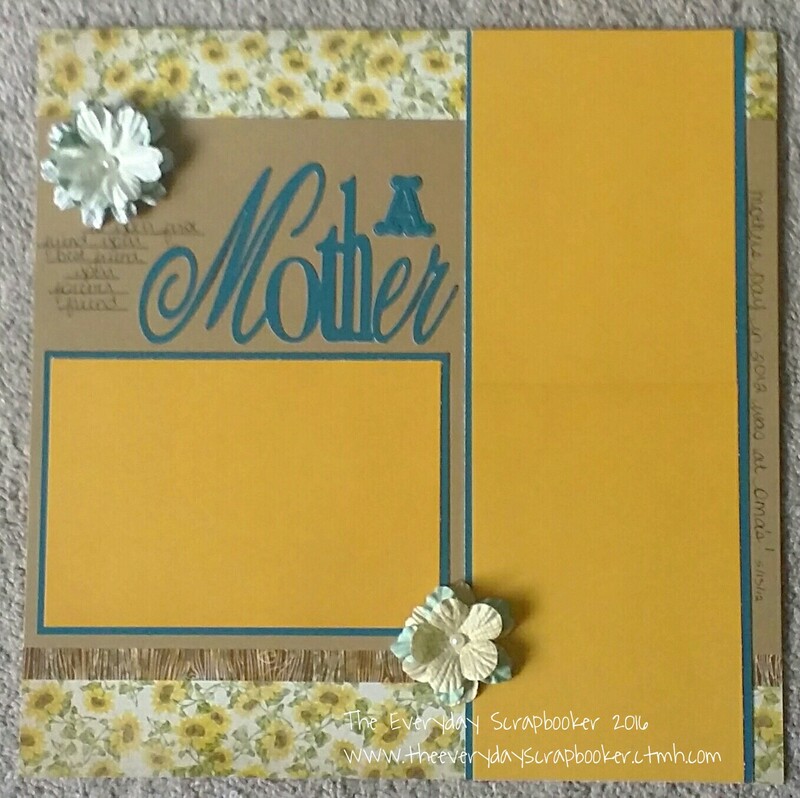 The cardstock base comes from CTMH, while the patterned paper photo mats are SU. I cut the title using my cricut and embellished with the fabric flower (Recollections). I hope you enjoyed today’s c+s layout. I’ll be back again real soon! It’s going to be a cool and rainy day today, so how about a layout to remind us of the warmer days?! Laura Whitaker inspired this layout, but as you can see, I took it in my own direction. First, I layered washi tape on my white Daisy cardstock, then placed photo mats on top of that. I placed the title above and below the photo mats and threw a couple stickers to help promote my theme: pudding pops! Thanks for dropping in! I’ll be back again real soon! I’m back again with a layout I created of the twins’ favorite bedtime stories back when they were 2 years old. I began, as always, with a sketch. This particular one came from my fave sketch artist, Laura Whitaker. I used my cricut to cut the title and embellishments, and completed the whole ensemble using some of my favorite papers out of my stash. (They’re either MME or EP. I have a terrible memory). Thanks for stopping in! We made it through the week- what are your plans for the weekend? I’m relaxing! I deserve it!